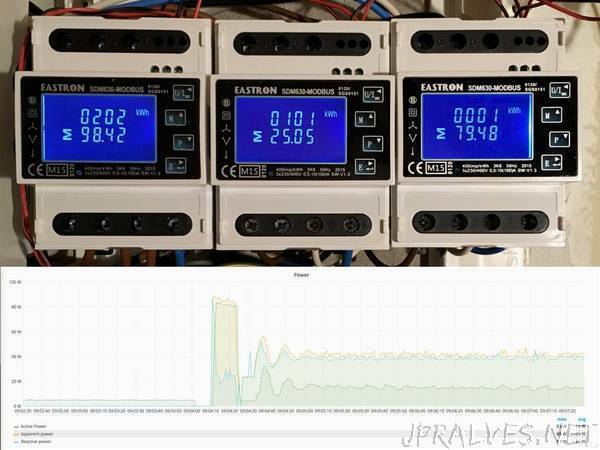 “Log your Energy Meter data using a Raspberry Pi and plot graphs of your energy consumption. In order to save energy it helps to know your consumption. To do this you can use Energy Meters to track the consumption of all connections in your distribution board. In this project seven 1-phase energy meters and three 3-phase energy meters are used to cover the complete distribution board. The Energy Meters are connected in series with the automatic fuses by an certified electrician.